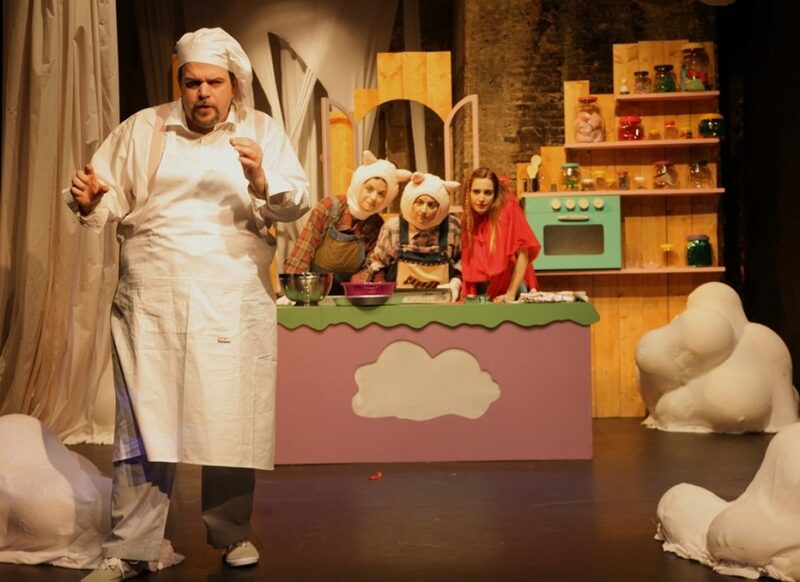 Fournos Theatre brings to London the story of Sugar Renos, a very special confectioner. Renos ives in a city up in the clouds and makes the most amazing sweets for fairy tale characters. One day he decides to make something sweet for those who live on the Earth. But this proves rather difficult as the three Little Pigs and the Little Red Riding Hood feel that they are left out. This interactive play is based on the book Μια ζαχαρενια Συνταγη- A Sugary Recipe, a story of love and solidarity by Greek author and police officer Foteini Konstantopoulou, who has received an award by the United Nations High Commissioner for Refugees (UNHCR). The play will be followed by Easter activities such as decorating the traditional Easter candle (labada), making Easter bunnies and Easter baskets filled with colourful eggs. Duration of play: one hour with no interval; language: Greek ; suitable for children over 3. Tickets £15 adults, £13 children over 3; adults admitted only if accompanying children.